Leading military and political figures have condemned the Tory government’s decision to exclude Rhodesian veterans from services commemorating the centenary of the First World War while inviting Germany to participate. Rhodesia and its predecessor states sent thousands of men to fight for the United Kingdom during the world wars, losing one in ten of its men during the Great War, according to The Telegraph. The self-governing colony had a terrific falling out with the mother country during decolonisation, however, when the UK insisted it should move to a one person, one vote system. 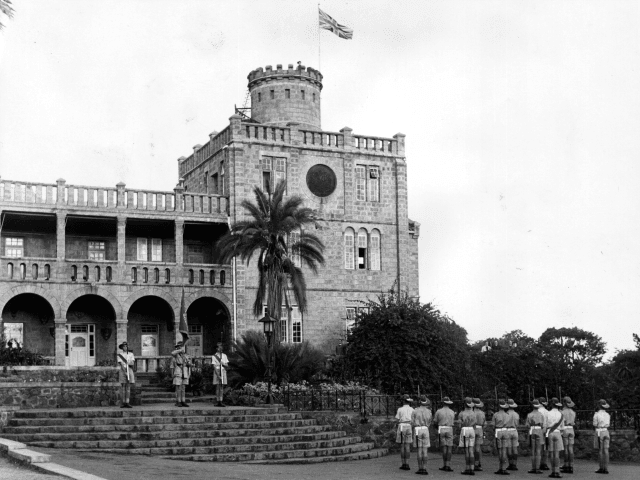 Rhodesia did not restrict the franchise to white people at the time, mandating only certain property and income requirements, like many democratic countries in the early part of the 20th century — although, in practice, this meant that its legislature was dominated by the white minority. The colony’s government claimed a leap to universal suffrage would have dire consequences in a land with relatively low literacy rates and riven by tribal enmities, particularly with the Communist powers in Eurasia infiltrating native political movements in order to ensure it would move out of the Western sphere of influence after independence. The British government believed the Rhodesians were only objecting to maintain their ad hoc racial privileges, however, and would not compromise — leading to a Unilateral Declaration of Independence (UDI) under the leadership of Battle of Britain veteran Ian Smith in 1965. UDI led to Rhodesia being barred from attending Remembrance ceremonies; a state of affairs which only came to an end when the long Bush War against Communist-backed African guerrillas concluded with the country caving to British demands, crippled by economic sanctions, in 1980. They were excluded again, however, when the government of Zimbabwe — as Rhodesia’s post-decolonisation successor was named — took a turn for the tyrannical under Robert Mugabe, a former terrorist who conducted a long campaign of violence and persecution against his political rivals, tribal enemies, and the white minority over almost four decades in power. Rhodesian veterans and their families, as well as Zimbabwean officials, are still excluded from Remembrance ceremonies today — a point of considerable contention as the centenary of the end of the Great War on November 11th looms. “Regardless of the politics, soldiers from southern Rhodesia who fought in the First and Second World Wars should be recognised along with everybody else from the Empire and former colonies,” commented General Sir Lord Dannatt, the former head of the Army, urging Theresa May’s government to reconsider its decision. “The Rhodesian contribution to both wars was completely disproportionate, they showed immense bravery,” added Julian Brazier, a former defence minister. Michael Ashcroft, an influential Tory donor and member of the House of Lords noted for his work to collect and preserve Victoria Crosses and the stories of those who won them, was particularly scathing of the Rhodesians’ exclusion, pointing out that even the Germans have been invited to participate in the centennial commemorations. “In the spirit of reconciliation which is, quite rightly, being advocated to mark the centenary of the end of the Great War, shouldn’t we be inviting our former allies to join us at the Cenotaph?” he asked.